2. 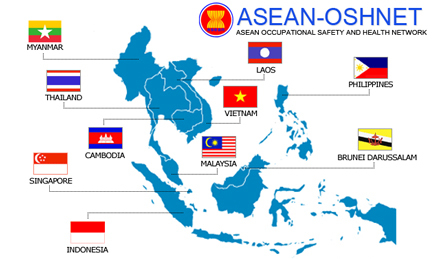 To form an ASEAN-OSHNET Coordinating Board comprising the heads ofNational OSH Centers or their equivalent, which report directly to ASEAN Subcommittee on Labour Affairs (ASCLA). The Board will oversee the operation of the ASEAN-OSHNET, the planning and implementation of its Plan of Action. 3. The ASEAN-OSHNET Coordinating Board will meet twice a year, and its immediate task will be to establish the secretariat of the network. 5. To include six projects under the Proposed Four Year Plan of Action (FYPA). The organization of the ASEAN-OSHNET comprises a Coordinating Board and Secretariat. The Coordinating Board decides policy direction, plan of action and designates the Secretariat. 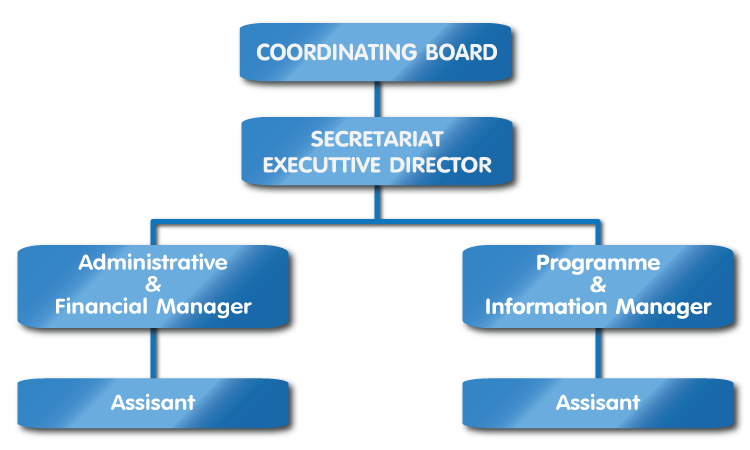 The Secretariat represents the ASEAN-OSHNET in administrative and operational matters, and manages the programme implementation. The Coordinating Board comprises one representative from each ASEAN member country, as designated by the respective government, a representative of the Secretary-General of ASEAN (ex-officio). The representative of each member country is preferably the head of the National Occupational Safety and Health Centre, or its equivalent. What are benefits for Southeast Asia? Programmes of the ASEAN-OSHNET will increase awareness, knowledge and skill in OSH for all concerning parties. The multiplier effects will encourage and motivate industrial society, including small and medium enterprises to implement OSH at their workplaces properly and improve their working conditions. These efforts will contribute significantly to the promotion of human resources development, and to the creation of productive and competitive manpower, as one important component of Hanoi Plan of Action. In addition, harmonization of standards and guidelines will minimize technical barrier among ASEAN countries in dealing with AFTA and globalization. The programme will also accelerate the free of OSH professional and other services in the region, and realize the vision of “a partnership in dynamic development” as stated in the ASEAN Vision 2020 Statement.